Lebanon currently houses 53 percent of a total of approximately 450,000 registered Palestinian refugees (UNRWA, 2016). Bourj Al Shamali is located three kilometers east of Tyre in the south of Lebanon; approximately 22,000 registered refugees live here. 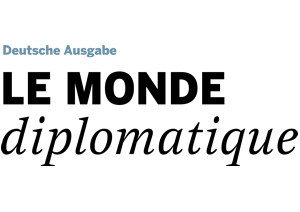 From the original 7,000 refugees who fled or were expelled from their homes in 1948, the majority of the population in the camp is currently formed by second and third-generation refugees. Like the other official refugee camps in Lebanon, Bourj Al Shamali suffers from serious problems: no proper infrastructure, overcrowding, unemployment and poverty. To add a further level of complexity, large numbers of Palestinian refugees from Syria have now moved into the camp. The arrival of these twice-over refugees has resulted in a deterioration of the already overcrowded living conditions. The ancestors of Bourj Al Shamali’s population lived in Tiberias and Safad in historic Palestine, now Israel, where they led an agricultural existence that has now been completely lost by camp residents, who have increasingly grown detached from the land (Martinez Mansell, 2016). With this in mind, Al Houla Association, one of the local NGOs working in the camp and the base for the local camp committee that is working to improve conditions in the camp, started exploring the possibility of launching an urban agriculture pilot project and the creation of a green space in the camp. Having worked at various times in the camp over the past decade and a half, I (Claudia Martinez Mansell) became involved in this project. we learned about balloon mapping and decided to use this Do-It-Yourself (DIY) aerial photography tool that could allow us to take aerial images from the camp and use them to produce a map. To dispel local concerns at Bourj Al Shamali, it was therefore crucial for us to work under the supervision of the local committee. Key local committee members informed the community, the various factions within the camp, and the Lebanese army about the planned balloon flights. Our choice of tool would also prove to be crucial. In Bourj Al Shamali, this low-tech approach proved key to solving the problem. At first, there was disappointment from the local committee and key team members at just how low-tech the equipment was: a 1.5-meter wide reusable latex/chloroprene balloon, a 300-meter long line, swivel clips for attaching the balloon and the camera, rubber bands for making a camera cradle, reusable Velcro for closing the balloon, some carabineers to attach things together, and a camera. However, this soon contributed to making our work with the community non-threatening and approachable, when compared to using drones. The simplicity of the process also allowed many people to participate. The digital camera needs to be one that can be set on an automated mode taking images every few seconds. It can be a smartphone or a basic point-and-shoot device set to continuous mode. It is placed in a plastic bottle for protection and secured to the balloon string. 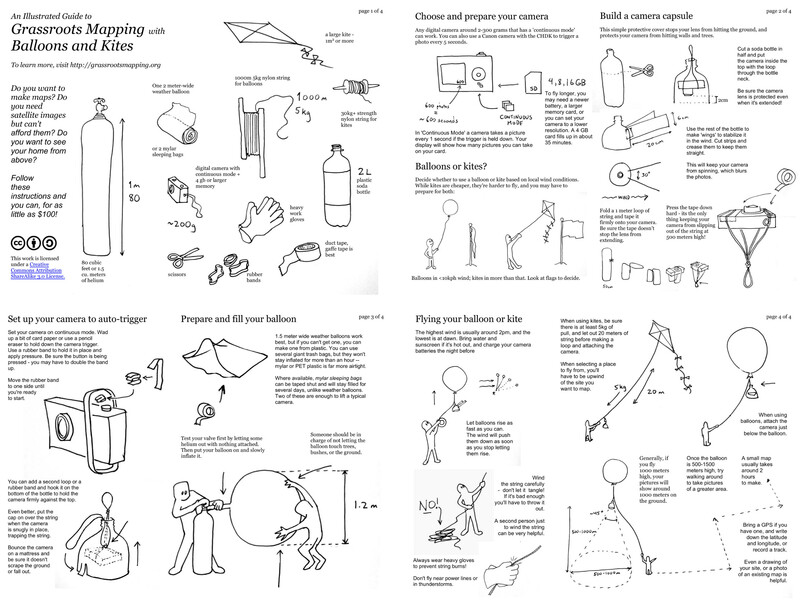 The process of launching the balloon is also simple. You tie it all up, you let the helium-filled balloon rise up in the air, and after a flight of 10-20 minutes you bring the balloon down again. For best quality images it is advisable to choose a bright day. It is also important to be on the lookout for obstacles, such as houses, power lines and trees. The altitude of the balloons has an effect on the scale of the map as well as the resolutions of the images. 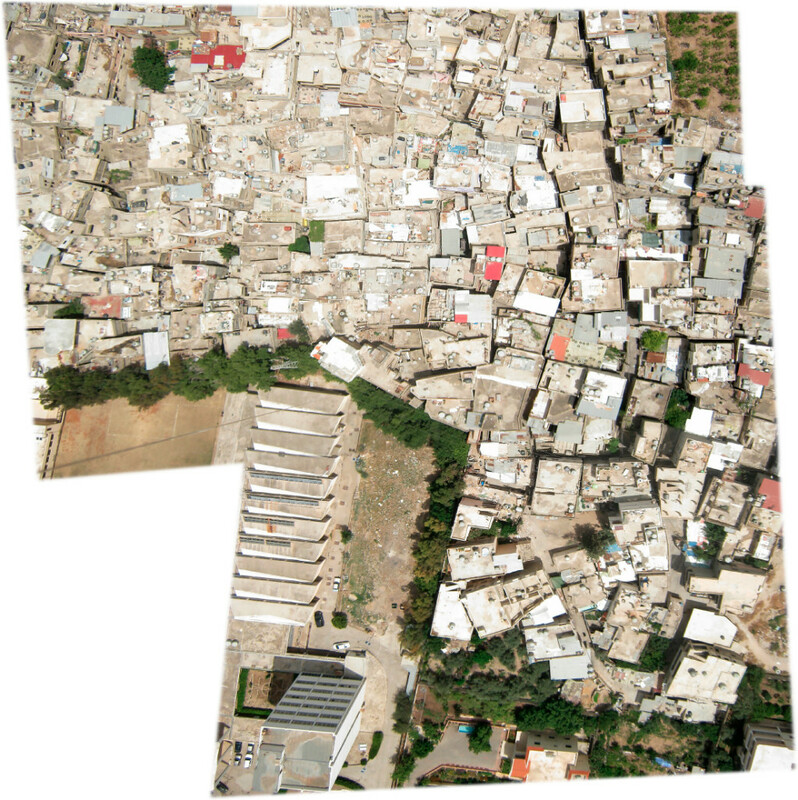 In Bourj Al Shamali we took images at various altitudes in order to ensure high-quality images of rooftops but also good overviews of the camp. When problems arose, many were able to chip in and help, as for example when a camp carpenter built us a box to protect the camera or when the high school physics teacher offered us ideas about how to stabilize our camera in the high winds which the balloon regularly encountered. Once our balloon was shot with a pellet gun by some idle youths and the local tire shop tried to patch the holes. We were also continually invited onto rooftops and into people’s homes to help us accomplish our work. After waiting in the tire shop for a balloon replacement, someone suggested that we contact a photographer in the camp who was planning to start using drones to photograph weddings. Like anywhere else, drones have now become accessible and affordable in Lebanon and can more easily accomplish the same tasks as balloons. But as any military operator of drones can tell you, drones offer power while rendering the operator invulnerable; whereas it was precisely the vulnerability of the balloon that necessarily generated conversations around the camp and, with time, won us supporters. The history of drones is that of an eye turned into a weapon (Chamayou, 2015); our red balloon high above the camp was different. It was less threatening and more poetic, with the string tying us to it, acting as some kind of umbilical cord that required us to be present in the spaces we were mapping (if you closely look at the images we produced, you can see us in many of them). Our red balloon was visible from everywhere in the camp, and people often mentioned to us from where they had seen it. This visibility was a way of winning trust. But mapping with the balloon was not an easy task. There were many false starts, and at times we wondered if we were going to succeed. 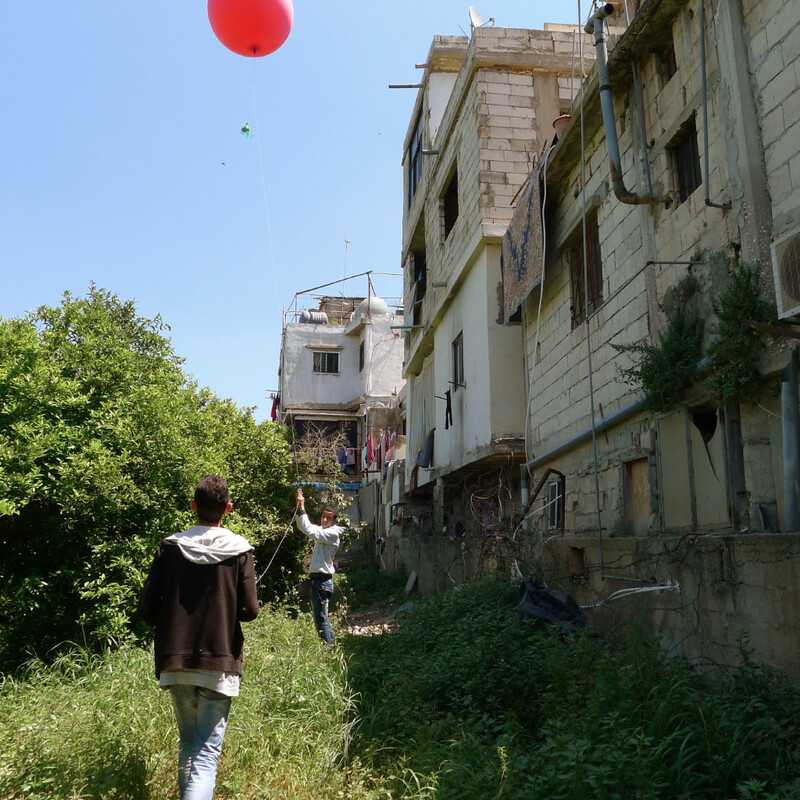 Mahmoud Al Jomma’s wise reflections on our doubts were reassuring: For him, irrespective of what final result we obtained, the balloon had gotten people thinking and talking about mapping and spatial awareness, and this process was already a result. For the youth from Bourj Al Shamali who worked on the project, there was great appeal in knowing that they were bypassing governmental and corporate control over geo-spatial information. In a society where young people encounter so many obstacles in their efforts to contribute to their community, they were happy to be helping with producing something useful for the community and to be given space to solve problems by themselves through experimenting. They were also very excited to be changing the community’s as well as their own perceptions of being helpless and ineffectual and to see themselves not as beneficiaries of an innovation but as partners and co-creators of the solutions to their problems. Municipalities from Tabarja to Choueifat. Beirut: Zawarib SARL. Martinez Mansell, C. 2016. Camp Code: How to Navigate a Refugee Settlement. 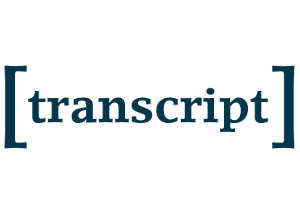 placesjournal.org/article/camp-code, 19 June 2016. Ratto, M. & Boler, M. eds. 2014. DIY Citizenship: Critical Making and Social Media. Cambridge, Mass. : MIT Press. The Economist 2008. Revolutions Coloured Green. economist.com/node/12641740, 13 January 2018. UNRWA. Burj Shemali Camp. unrwa.org/where-we-work/lebanon/burj-shemali-camp, 13 January 2018. UNRWA.WhereWeWork. unrwa.org/where-we-work/Lebanon, 14 January 2018. Waldheim, C. 1999. Aerial Representation and the Recovery of Landscape. In Corner, J. ed. Recovering Landscape: Essays in Contemporary Landscape Architecture: 120-139. Wallach,Y. 2011.Trapped in Mirror-Images:The Rhetoric of Maps in Israel/ Palestine. Political Geography, 30(7): 358-369. Ilustration right column by Guide by Grassroots Mapping with Balloons and Kites (publiclab.org), licensed under a Creative Commons Attribution ShareAlike 3.0 License (CC BY-SA 3.0). For more information on the use of the map of Israel / Palestine as a celebrated symbol by both Israelis and Palestinians see Wallach (2011). The report by UNOCHA, Humanitarianism in the Network Age, includes thought-provoking questions on the possible security implications of satellite imagery produced in Sudan. For a discussion of these approaches see theWorld Bank report,“Interactive Community Mapping: Between Empowerment and Effectiveness” from 2014.